Joy in the Sri Meenakshi temple, Madurai. There is no better instance in the world, I think, of a living “pagan” religion. Hinduism has over 3 million (million!) gods. 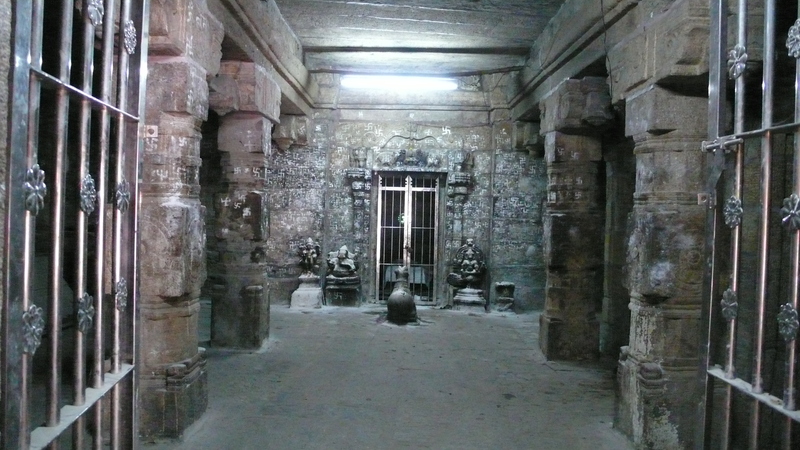 The works of sculpture found in the older temples are occasionally very ancient–even as old as the 7th century. They are of astounding quality. And yet they are being used. 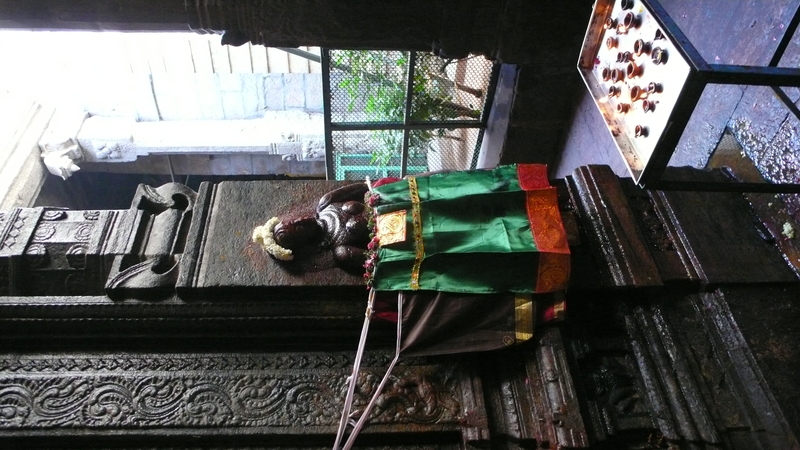 Devotees douse the gods in butter and oil and ashes, priests envelop them in the thick smoke of incense, and they are periodically dressed and redressed. 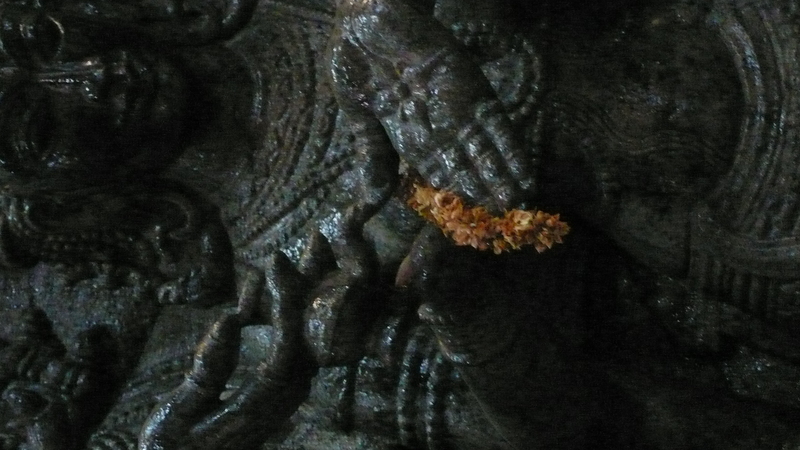 Flowers and candles are placed in the hands of the gods. 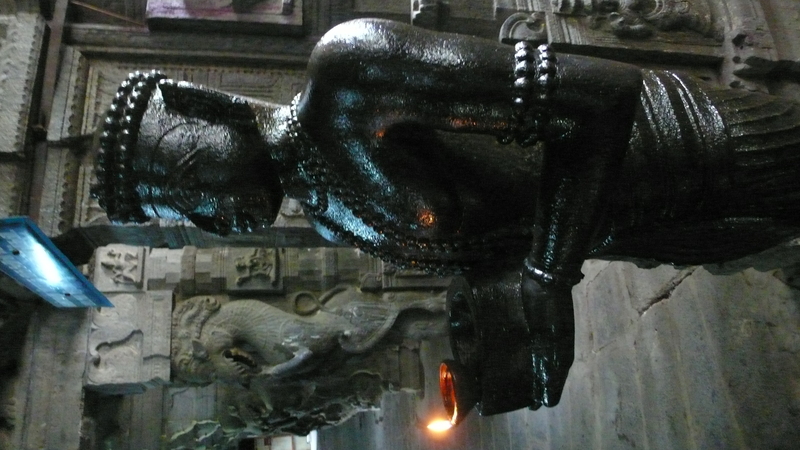 Here is a patient but enlivened figure in the temple at Tirunelveli. I consider it a signature of pantheistic religions that they are open. Open to new gods, clearly, and also open to new comers. In extreme contrast to the experience of mosques, whose main space is closed to women and where non-muslims tread only under special permission, the Indian temple is open to all. There is no missionary zeal, no furrowed brow asking, “Are you in or are you out?” For someone in this world, you are already in whether you know it or not. You are smiled at, wreathed, daubed on the forehead. There is a general smiling quality that is palpable. People are there to make the gods happy and are happy themselves. Periodically, there are musical outbursts, little very noisy bands of players passing through the halls. 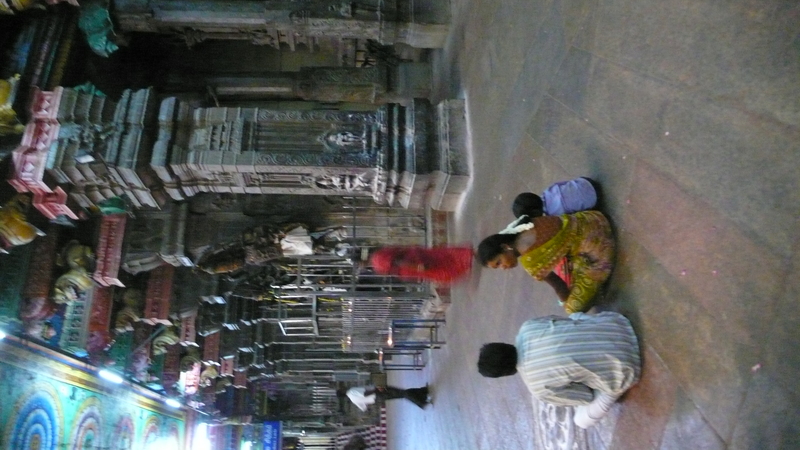 People are involved in the proceedings, but they also just hang out in the temples, en famille. I felt pure joy inside each temple complex I visited. 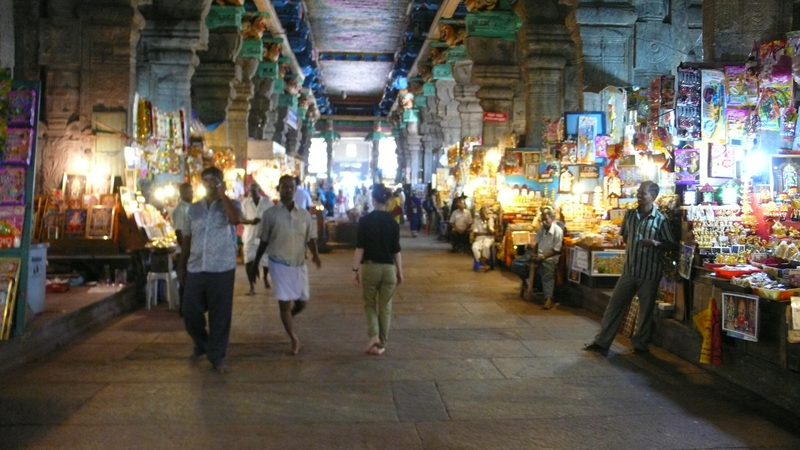 The bigger temples are fronted by a bazaar of shops where you can buy things to offer to the gods. This is the best mall I’ve ever seen. 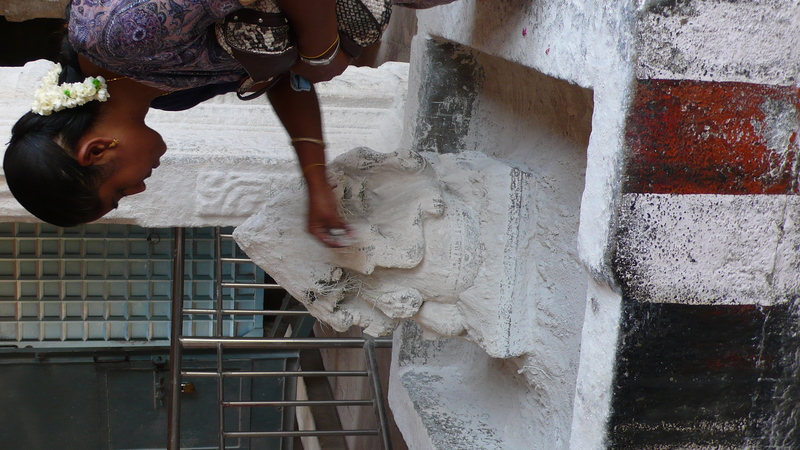 ← Well-positioned monkey in line to receive offerings, Tirupparamkunram temple, Madurai.